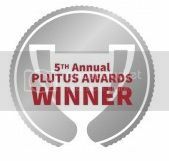 I would also like to thank Rob for selecting our video interview on “The costly TFSA blunder that people keep making” as the most popular personal finance video of 2014. The link for all ten nominees is here, starting at number ten and counting down to number one. 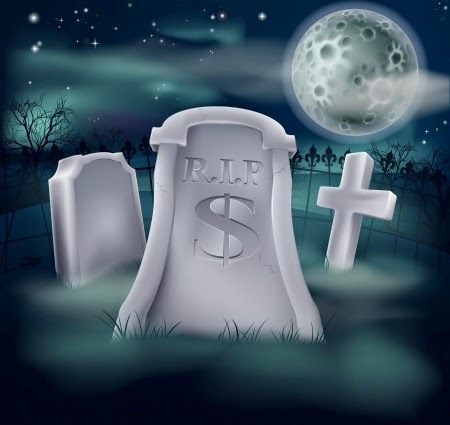 Last week you read that upon your death, you are deemed to have disposed of your assets for income tax purposes (unless you leave them to your spouse). Today, you'll get a closer look at these rules. For purposes of this post, I am assuming your spouse has predeceased you, or you leave your property to someone other than your spouse; so that there is not a tax-free transfer available upon your demise. Upon death, you are deemed to have disposed of your property for proceeds equal to its fair market value (“FMV”). This is known as a deemed disposition. The deemed disposition being equal to the excess of the FMV over the adjusted cost base of the property (“ACB”). For example, say you purchased 1000 shares in Blunt Bean Inc. for $150,000 and the shares are worth $275,000 upon your death. Your executors would have a $125,000 capital gain to report on your terminal tax return (final return from Jan 1st of the year you die to the date of your death). For most people, there are two basic categories or property upon death, those being non-depreciable capital property and capital property. Non-depreciable capital property would typically include shares, bonds, land (note: depending on the circumstances, land may not be capital property) and partnership interests. As noted above, upon death you are deemed to have disposed of your non-depreciable property for proceeds equal to its FMV. To be clear, that means the $125,000 capital gain in the example above is reported on your terminal return, notwithstanding you never sold the shares of Blunt Bean Inc. Thus, upon your death, for tax purposes you have in essence been “deemed” to have sold all your non-depreciable capital property even though there is no actual sale. 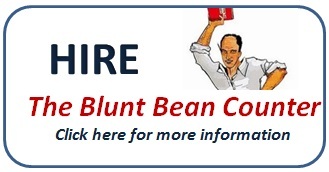 If you left the shares of Blunt Bean Inc. to your daughter, the ACB of the shares to her will become $275,000, which accounts for the fact your estate already paid tax on the increase in value from $150,000 to $275,000. If the deemed disposition results in a capital loss, the losses offset any capital gains on the terminal return. 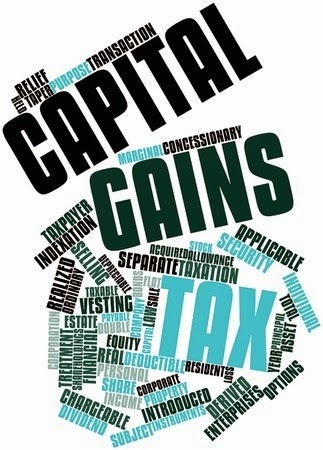 If your capital losses exceed your capital gains in your final return, you can then deduct those excess losses against other income in the year of death, or in the previous year to the extent you have not previously claimed the capital gains exemption. Your principal residence is technically subject to the deemed disposition rules. However, if you only have one house (no cottage) and have lived in that house since it was purchased, your estate will typically be able to claim the principal residence exemption on your behalf and that property will be tax-free. It is important to note that your estate may have a capital gain or loss when it sells your principal residence, if the value of your principal residence has increased or decreased from the deemed value on the date of your death. This can occur where it takes a while to sort out the estate and the principal residence is not sold for months or even years. (1) There is no deemed disposition on your cash holdings; however, if you hold foreign currency, you could have a foreign exchange gain. (2) There is also no deemed disposition on your TFSA; however, there are various rules relating to what happens after your death to your TFSA. Taxtips.ca has a good summary here. Depreciable capital property would typically include buildings owned for rental purposes by the deceased taxpayer, and equipment used in an unincorporated business. For depreciable property the same deemed disposition rules apply. However, there can also be recapture of prior depreciation (capital cost allowance claimed) where the FMV exceeds the undepreciated capital cost allowance (“UCC”) or instead of a capital loss, there may be a terminal loss where the deemed proceeds are less than UCC which can be used to offset other income in the year of death. At the date of your death, the value of your RRSP or RRIF is included as income on your terminal return. For example, if your RRSP has a FMV of $560,000 on the day you die; your terminal return would reflect income of $560,000. The estate is supposed to receive a tax slip for the $560,000 RRSP/RRIF value upon death, but it has been my experience, that these slips are often not issued or are issued incorrectly, so you need to be diligent that the correct value is included on the terminal return. (As noted at the outset, I have assumed your spouse has already passed away, so the RRSP cannot be transferred tax-free to your spouse. However, the tax may be deferred if the beneficiary is a financially dependent child or grandchild under 18 years of age, or a financially dependent mentally or physically infirm child or grandchild of any age). 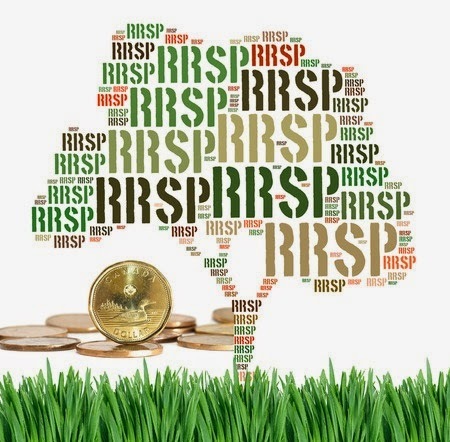 Note: See the comment section below for an interesting point made by Jean-Pierre Laporte about using a personal pension plan to avoid the deemed disposition in relation to RRSPs. Under the deemed disposition rules, it is possible to have a large deemed capital gain and a large associated income tax liability, yet not have the liquid assets to pay that liability. For example, you have significant real estate assets that appreciated considerably before your death, but little cash. In these cases, the estate may qualify to file form T2075 which allows for taxes to be paid in ten or less annual installments, with interest. In order to utilize this provision, security would have to be provided to the CRA. The above is just a general overview of the income tax rules upon death. There are various other detailed rules I have not discussed that may relate to the death of an individual. Next week, I finish this discussion when I review the rules relating to the ownership of shares of a private corporation. The Ontario Retirement Pension Plan - Who is Self-employed? 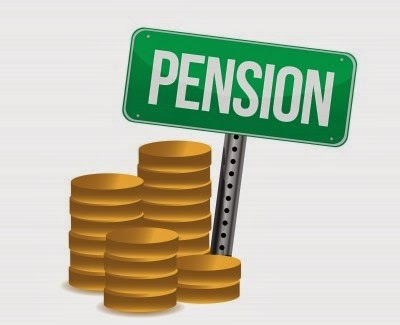 The consultation paper on the Ontario Retirement Pension Plan (ORPP) has been released. You can read it here. One of the most significant groups excluded from the ORPP are self-employed people. In the initial announcement it was unclear who was considered self-employed. Was it a sole proprietor? Was it a corporation with sole shareholder or was it a professional corporation, or was it all of the above? only receive dividends as remuneration. 2. own and operate incorporated businesses but are not employees and do not receive a salary or wages as compensation (e.g., an individual who receives distributions from the corporation that are not considered salary or wages, such as dividends). The report notes that the self-employed occupy a unique position in the labour market, in that their income can fluctuate year to year, and that self-employed individuals may feel that it is more prudent to invest in their business, rather than contribute to a mandatory savings plan. As someone who operates through a professional corporation, I am not that keen to make an employee and employer contribution to the plan; however, other self-employed individuals may feel the ORPP would help supplement their retirement income and would welcome the opportunity to have the option to be part of the plan. If you are self-employed and wish to make a submission or comment, you can do so at: ORPP@ontario.ca. We have all heard the famous quote “In this world nothing can be said to be certain, except death and taxes”. Did you know the person who uttered this profound statement was none other than Benjamin Franklin? This blog post and the two follow-up posts, will share with you the income tax consequences of Benjamin's second certainty, the always popular subject of dying. Ignoring the fact that the U.S. Income Tax Code in the 1700's may have been slightly different than today, Franklin's view on death and taxes was that of an American. This distinction is very important. The U.S. tax system taxes you on the value of your estate upon death, while Canada deems you to have disposed of your property at death, at its fair market value, which triggers income tax on any unrealized capital gains (paper gains). I will explain this “deemed disposition” in greater detail later on, but simply put, if you own shares in say Bell Canada that are worth $40 upon your death, that you purchased for $15, you/your estate are deemed to have a $25 ($40-$15) capital gain per share, if your assets are not left to your spouse. Depending upon the province in which you live, you may also be subject to probate fees (Estate Administration tax in Ontario) on the value of your estate at death. However, notwithstanding people plan around probate fees, often to their detriment; these fees/taxes are typically fairly immaterial to an estate in Canada (1.5% versus 40% Estate tax in the U.S. or higher, depending upon the state and size of your estate). Here is a summary of the probate fees for each province. For purposes of this blog, and the two follow-up blog posts I have written, I am just going to focus on the “deemed disposition” upon death and ignore probate fees. It has been my experience that most people are not clear about how the income tax system works upon their death. In particular, shareholders of private corporations are often surprised when I inform them that any increase in value of the shares of their private corporate shareholdings are subject to income tax upon their death (they often think the yearly corporate tax they pay has covered this liability). This does not even account for the fact that without proper tax planning, there could be double taxation in respect of their corporate shareholdings. In order to deal with the distinction between the personal and corporate income tax consequences, I have made this topic a three-part blog series. Next week, I will deal with the personal income tax consequences of you dying, and the following week, I will discuss the income tax consequences of dying when you own shares in a private corporation. You can avoid all these messy income tax complexities upon death by just dying first☺ if you are married or in a common-law relationship. This is because if you leave your property to your spouse or common-law spouse, the property passes to them at the adjusted cost base of the property and the capital gain is deferred until the surviving spouse or common-law partner dies, or they sell the property during their lifetime. (1) Your estate elects out of the automatic transfer to your spouse (this can be done on a property by property basis). (2) You are the last to die spouse. (3) You leave your property to your children or other beneficiary, instead of your spouse. Next week, I will discuss in greater detail, the personal income tax consequences of passing away. You are about to read the final post on my African adventure series. Warning: This blog contains two graphic pictures (Note: any photo can be enlarged by clicking on the image). In my previous two posts (part 1 & part 2) I discussed our stay in Botswana. We completed our safari experience at the Lions Sands Game Reserve, located on the western border of the famous Kruger National Park in South Africa. Lion Sands is a luxury reserve. Since we were on a bucket list trip, we decided to splurge for two nights. The accommodations were superb and the food was gourmet. This is definitely not your Safari on a budget pit stop. The game viewing at Lion Sands was outstanding, thanks in large part to our guide Ferdie Muller and our tracker, Rector. We had not had a tracker to date and it was very interesting to watch Rector look for footprints and dung. Yes, tracking is done as much by dung as anything else. We shared a jeep with a young couple from the U.K. that were pretty much in sync with what we wanted to see. As we headed out on our first safari, Ferdie told us that a Rhino had recently been killed in a fight with another Rhino and that Lions were now eating the carcass. We knew we were approaching this site when we saw like a 100 vultures hovering in the sky. I am not exaggerating, there may have been even more. Watching three lions feasting on the Rhino was fascinating; although depending upon the wind, the smell was terrible. The next day we tracked a leopard in a tree with an impala it had just killed. This was mesmerizing. Somehow the leopard had dragged the impala up into the tree and hung it over the branch like laundry hanging on a clothesline. That night as we were driving, Rector stuck out his hand. He had us get out of the vehicle and he showed us a leopard paw in the sand. He then told us to look at the flat drag mark near the paw; which he said was an impala being dragged by a leopard. Ferdie then followed Rector’s directions as we tried to track that leopard. Two minutes later we found the dead impala hidden in the bushes. Ferdie said we must have just missed the kill and scared off the leopard. If you have been paying attention to my series, you will know you do not wish to be reincarnated as an Impala ☺. That day we also found a hyena den, with some babies and tracked a lion for over a couple hours through thick bush until Ferdie found it below us in a valley. The tracking experience at Lion Sands was extremely interesting and educational. You may have noticed I have not mentioned that we saw rhinos (other than the dead one being eaten by the lions). I am not posting any information or pictures about the rhinos as they are constantly being poached for their horns to send to Asia for medical and aphrodisiac reasons and I have no intention to provide any location details. We concluded our trip by flying to Cape Town, where we stayed at the Twelve Apostles, a beautiful hotel in Camps Bay just outside of Cape Town that overlooks the Atlantic Ocean. Cape Town is a stunning city with mountains, water and beaches. It is often ranked as one of the most beautiful cities in the world and within five minutes you can see why. It also has some tremendous restaurants and seafood. We loved our dinner at the Codfather in particular. Cape Town also has a dark underside, with Shanty Towns and townships that look like you are in the third world. The contrast is startling and we were constantly warned to be careful where we walked and be cognizant of who was behind us. The local people we chatted with provided us different opinions on the current status and future of Cape Town and South Africa. Some were optimistic, others not very hopeful. South Africa is a complicated country still sorting itself out and I for one am far from qualified to offer an opinion other than noting the huge contrasts I observed. drove to Cape Point and took a cable car to the top, went back along the coast and to Chapman’s Peak for an awesome view and onto Hout Bay for some great fish and chips. The next day they found a killer cobra snake on the beach we walked at Hout Bay. It was a full and great touring day and we appreciated our host and his insights into Cape Town and South Africa. country outside of Cape Town) and notwithstanding Lori’s diligent research, our driver Bryan had his own ideas for the day. He came into the car and told us which wineries he recommended and booked lunch for us at the Delaire Graff Restaurant. He did not disappoint with his suggestions and the food and view were spectacular at Delaire Graff. One of the wineries we visited was the Avondale Wine Estate. Avondale is an organic winery and its proprietor Johnathan Grieve is a pioneer of the BioLOGIC® approach to sustainable viticulture. He oversaw the transformation of Avondale from over-used and abused land into a thriving, robust vineyard. This was an interesting visit, as the considerations and issues in organic wine making are numerous and captivating. We concluded our day with a quick visit to the Kirstenbosch National Botanical Garden. This is a highly acclaimed botanical garden. However, because of the time of year, we missed the blooming of most of the flowers and were a bit disappointed in our visit. Cape Town to Johannesburg to New York and then on to Toronto; 30 hours or so later, we arrived home—exhausted but exhilarated. That’s it for my African adventures. I hope you found these posts interesting. Next week I get back to my regular tax/financial/money fare. On Monday, you read about my special safari experience at the Kwetsani Camp. Today, you will be a part of my unforgettable encounter with Wild Dogs at the Savuti Camp, located in northern Botswana. Heads up; this blog has a graphic picture at the end of the post (although, I picked one of the least explicit photos). Upon arrival in Savuti (on our mini-me plane), Goodman, our guide, greeted us. Goodman guiding the Goodfield’s, how’s that for a co-incidence. Lori read great things about Goodman on tripadvisor, so we knew we were in good hands. Our safari wish list in Savuti was to see wild dogs and a leopard. This camp is surrounded by a watering hole, yet considered a dry camp. Go figure that? Our accommodation was a beautiful tented room raised off the ground on platforms, with hippo’s swimming in front of our deck. The downside to this room were the frogs who croaked continuously throughout the night. Savuti Camp was a different experience than the Kwetsani Camp. Kwetsani was more charming with only five rooms and it took on the personality of its managers, Savuti, with its seven rooms, is more of a well-oiled machine, friendly, but more structured. We enjoyed both. Once we were settled, we set off on a dusk safari with Goodman and another couple from the United States. It is an interesting dynamic when you have another couple in the vehicle. This couple, while nice, was older, moved slower and was keen on bird watching, not necessarily our style or speed. We appreciated the guide’s challenge to keep everyone happy. Goodman did it well as he found a leopard that was in the process of finishing its impala dinner. Actually, there was not much left of the impala when we arrived and the leopard was generally content to just hang out as her belly was full. So to this point, our viewing of animal kills was fairly tame, however, that was about to change drastically. Goodman informed us that for the next mornings safari, we had him to ourselves and we were going to head out at 5:30 am to track wild dogs. The weather was overcast and surprisingly chilly. It is hard to put into words what our morning was like: it's best described as “we ran with the wild dogs”. We started our day with a 40 to 50 minute drive to get us to an area where Goodman hoped he could track the wild dogs. To our delight, we successfully found a pack of 4 or 5 wild dogs. The dogs were moving east and howling like crazy. Goodman told us they were howling to make contact with the rest of their pack (wild dogs are known as very social animals). We followed the dogs for a while, when suddenly a hyena came out of the bush; our first hyena sighting of the trip. As you can see from the picture, wild dogs look like a cross between a dog and a hyena. The dogs then took off into the bush and Goodman drove the road anticipating where they would reappear. About ten minutes later he found them and we continued to follow them, where suddenly they met up with the rest of their pack, including some babies. We continued to follow the dogs through the bush, sometimes at a fast speed to keep up. At around 9 am Goodman said “they are just playing around and not ready for a kill so let’s just have some breakfast”. He then took us along the river bed and took out some coffee and pastries. Picture this; we are standing on the ground, out of the vehicle, waiting for our coffee when we see a few hundred yards away the wild dogs running in our direction. Goodman continues on as if it is nothing asking how we would like our coffee. Lori and I are starting to become a little concerned as we have watched the wild dogs on YouTube ripe apart animals with their huge sharp teeth and we would like to avoid that fate. Goodman says “don’t worry, they are used to humans and will leave us alone.” As they get closer we have to decide if we trust him or not. Lori keeps asking him if he’s sure it is okay to stay where we are and he says “yes”. As the moment of truth arrives, I will be honest; I put one foot on the step of the range rover and kept one foot on the ground. Lori showed real guts, she kept both of her feet on the ground. The dogs stoped a few feet from us, stared us down then continued running off down the river. Goodman says “let’s have our coffee quick and then we will follow the dogs as they look ready for a kill”. We are a bit confused as to why we were told to stay put, when they are ready for a kill, but I guess the Goodfield’s are not a wild dog’s food of choice. We jump in the vehicle and start to follow the dogs; however, we lost them in the bush. I see something in the distance and tell Goodman who zips off. It turns out I saw a wart hog, not a dog and we turn the vehicle just in time to see an impala running in the opposite direction with fear in its eyes. Goodman says the dogs are going after an impala and he speeds off to find the wild dogs. A minute later he finds the wild dogs. In that one minute time span, they have caught and killed an impala. So we arrive just seconds after the actual kill. would be disgusted by watching a feeding or a kill or be intrigued by it. As we watched the wild dogs eat the impala, first the babies ate, then the adults came and essentially ripped it into pieces, we both said we were more intrigued then disgusted, although Lori said she was little queasy. To complete our run with the wild dogs, we followed them to a watering hole where they drank and washed up, so to speak. We then headed back to camp from our awesome adventure. We saw some other very interesting things, including elephants crossing a river and lots of beautiful birds, but nothing matched the thrill of the wild dog adventure. We then flew from Savuti to Maun and Maun to Johannesburg for the night. The next morning we flew to Mpumalaga for our final safari at Lion Sands Game Reserve just outside of Kruger Park. A few years ago, after watching the movie The Bucket List my wife Lori and I created our own Bucket Lists. We had three adventures in common: going on Safari, watching polar bears in Churchill Manitoba and visiting the Galapagos Islands. In late October we crossed the Safari entry off our lists, as we traveled to Botswana and South Africa for a couple weeks. The trip was ostensibly for the purpose of going on safari; however, since we figured we had traveled so far, we included sometime in beautiful Cape Town. In one word the trip was awesome. Our safari experience actually exceeded our high expectations and our lodge/camp accommodations were excellent. However, in all honesty, it was also exhausting. We had twelve plane rides over those couple weeks, a seven hour time difference and many 5:00 am safari starts to our day. Over the next two weeks, I will be sharing our trip highlights together with some of the beautiful pictures my wife (the photographer of the family) took. So if you came to the blog for the usual tax/financial discussion and are not interested in my African experiences, check back January 19th, when I will be writing about the uplifting topic of death and taxes. I started planning this trip a year or so ago. I spoke to many people who had gone on Safari to South Africa, Kenya, Tanzania and Botswana. I also read through many comments on tripadvisor, several articles and various blogs on safaris. I was able to narrow down where I wanted to go and what I wanted to do. However, I was a little overwhelmed with all the various offerings. I was having trouble putting everything together in a coherent travel plan and making the appropriate camp/lodge selections. Luckily, we were referred to Cheryl Gould, a South African working for Lion World Travel in Toronto, a company that specializes in South Africa. Cheryl listened to our needs, provided us excellent suggestions and alternatives, and put together a wonderful itinerary. Cheryl also co-ordinated our Botswana tour operator, Wilderness Safaris and our South Africa tour operator, Thompson's Africa. Both operators were first class in respect of transport, pick-ups and tours. We decided to visit two camps in Botswana, the Kwetsani Camp in the Jao District in the Okavango Delta and the Savuti Camp in the Linyanti Reserve along the Savuti Channel. 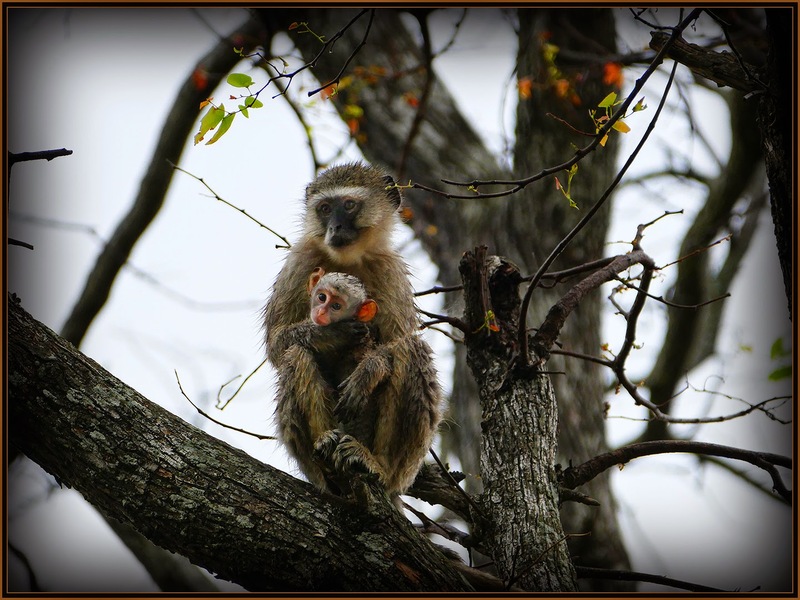 Kwetsani provided us with many highlights and memories; however, it proved to be a lot less bloody than our experiences in Savuti and Kruger Park which I will recount in the next two blogs. To get to Kwetsani, we flew from Johannesburg to Maun on a commercial airline and from Maun we took a small ten-seater type plane to an airfield in the bush. Kwetsani is one of the most remote camps in the Okavango. It’s situated on an island and is considered more of a wet camp, as opposed to Savuti which was considered more of a dry camp. We arrived just at the end of the “dry season". They had not yet had any rain in Kwetsani, but never fear, the Goodfields brought rain, which was appreciated by the residents and animals, but initially not so much by us. We were picked up by our guide Dennis Smith at the airstrip and taken to the camp. The camp is managed by the husband and wife team of Dan (a well-respected wildlife photographer) and Charmaine (a wildlife activist) Myburg. Our assigned room, or more accurately described as a tented tree house, provided us with a beautiful view of the delta together with our neighbors, the baboons. Red lechwe, kudo, elephants and zebras casually grazed around us during our first safari. As we were returning from our safari, Dennis pointed out lion prints in the sand and told us these lions had been gone ten days and he was happy to see them back and we would track them the next day. The next morning we headed out at dawn for our safari with Dennis. As we had brought rain, it was actually cold and damp, a weather condition that seemed to follow us our whole trip. Despite the weather, we still managed to see an ostrich and her baby, bushbuck, a wart hog hiding in a hole, hippos, wildebeests, zebras, elephants and we tracked a buffalo (see picture below) to a watering hole. We were quite pleased with the results of this safari. At lunch, Dan provided Lori with some much appreciated tips on photographing animals. In case you are wondering, my job was to video tape. Around 4:00pm we set out on another safari, this time with the sole intention of tracking the lions. After a half hour or so Dennis found them. There were four cubs, one male and three female and two lionesses. For the next couple hours we just stayed with them (I learned an important part of a Safari is just being patient and waiting for something to happen or not). 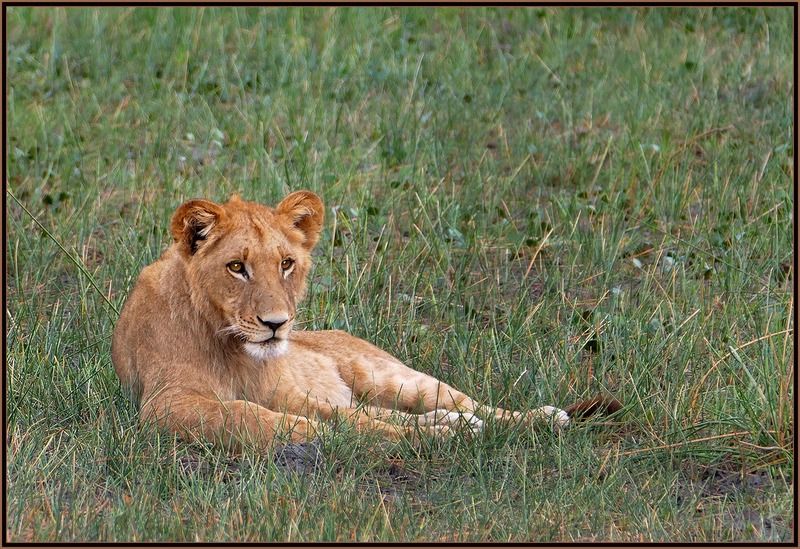 I was impressed with the love and attention the lionesses had for their cubs and how playful they were. They would play fight and roll over on their stomachs just like a cat or dog. At one point the lionesses saw some elephants in the distance and jumped up with interest. We were not sure if they were going to hunt them. However, they settled back. A little while later, the male cub saw a mongoose and started tracking it for a kill. Dennis said he was still learning and it would be 50/50 if he would catch the mongoose. Eventually the mongoose got away, but it was interesting to watch the cub learn how to hunt. As you can tell by the pictures, we were very close to the Lions. I would say 5 to 20 feet at various times. Dennis carried no weapons. I personally was a bit confused. Lions are deadly predators and I was sitting in a range rover with no protection just a few feet away. I was thinking, are these Lion’s really untamed or have they been tamed over the years by human interaction? Dennis, Charmaine and Dan later clarified this issue for me. They explained that after years of seeing humans in range rovers, the animals and their offspring were used to the vehicles and do not see them as a threat. However, should you get up suddenly from your seat or get out of the vehicle, the animal will either run off or attack you. That night we were very lucky. The camp was in between guests and we had Charmaine and Dan all to ourselves at dinner. We found out that they are in the process of putting a fascinating book together. The book features Dan’s awesome wildlife photographs and Charmaine’s poetry. The poems express an animal’s perspective of threats to them and their environment, such as how they feel as they are shot and killed in a canned hunt. Canned Hunting is defined by Wikipedia as “a trophy hunt, in which an animal is kept in a confined area, such as in a fenced-in area, increasing the likelihood of the hunter obtaining a kill". From what I understand, people raise lion cubs (or other animals) on ranches until one day they are let out in the "wild". The freed lion is baited with food into the shooting range of a hunter who has paid for the right to kill the Lion. Lori and I were quite taken aback by this concept. After telling us about their book, Charmaine an engaging storyteller recounted an amazing story about the lions of Kwetsani. We learned there is an interesting natural order selection process going on and she shared with us the miracle of the survival of the cubs we had just seen and the history of the lion pride in the area. The cubs born the last few years had either drowned or been eaten by crocodiles crossing the flood waters. We were fascinated and grateful for her insight and now understood how important these lions were to the Kwetsani region why they were so very dear to Charmaine, Dan and Dennis. The next day we said our goodbyes and were taken to the airfield and flown to Savuti, where the action quotient would be raised to a whole other level.